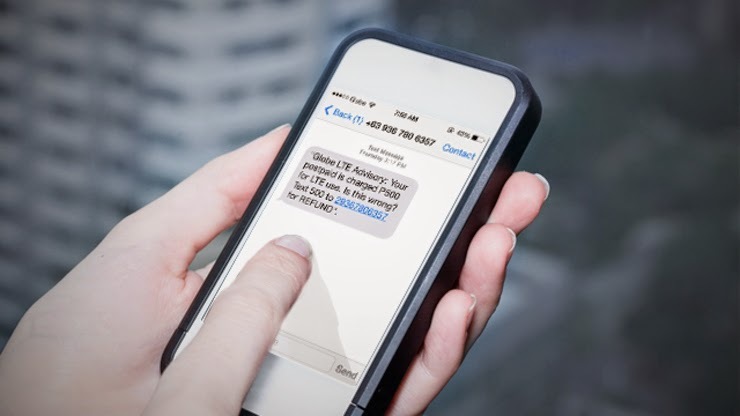 The implementation of a filtering mechanism that would keep its customers from receiving unwanted and annoying text spam messages in an aim to intensify its campaign against spam and scam messages, is being tested by Globe Telecom. Globe installed in its network an automated filtering mechanism which is now working to prevent transmittal of spam and scam messages to mobile devices of some of its postpaid customers. As of late, more than 10,000 spam and scam messages have been blocked from the Globe network. Mobile numbers that are identified to be a constant source of spam and scam messages will be temporarily disconnected from service. This means that voice, SMS and data services will not be available to these numbers. Service restoration for such numbers will only be undertaken if the users contest the move and show proof they are not text spammers, he added. The company recently reported that mobile numbers deactivated from Globe service surged this year amid intensified efforts of the mobile operator to combat unsolicited promotional materials sent as SMS messages. As of April this year, Globe said it barred from its network more than 1,000 mobile numbers. This is 33% higher than the total mobile numbers blocked from the network for the whole of 2013. From January to April 2014, the number of blocked numbers due to reported spamming activities increased by an average of 450% from a year ago.